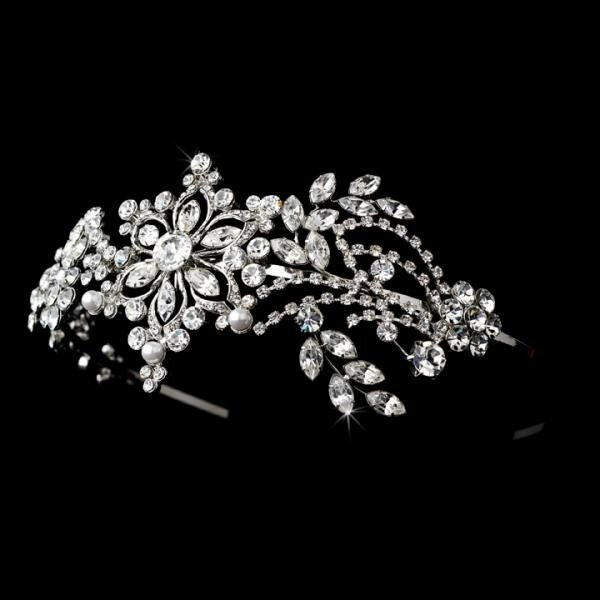 This vintage inspired headband features a stunning, sparkling combination of Swarovski crystals, clear rhinestones, faux white pearls, and a large silver-plated floral design. A stunning statement on your big day, this unique piece coordinates best with white, off-white and light ivory dresses. Headband measures 35.5 cm in length. Detailing measures 25 cm long and approximately 7.5 cm wide.